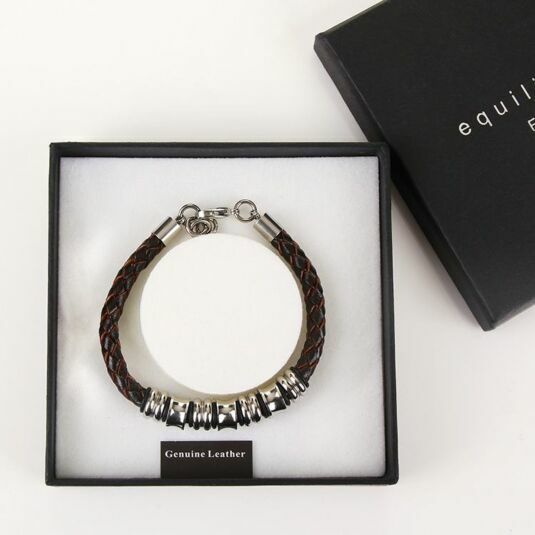 Perfect for the modern and fashion conscious man, this genuine leather and stainless steel bracelet is sure to add style to any outfit, casual or smart. 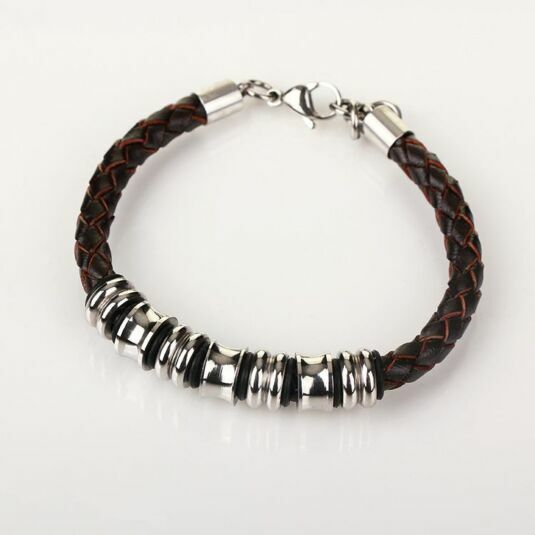 With a dark brown plaited effect running throughout the length of this bracelet, the main feature is the 7 stainless steel rings, adding a modern and sharp element to the accessory. 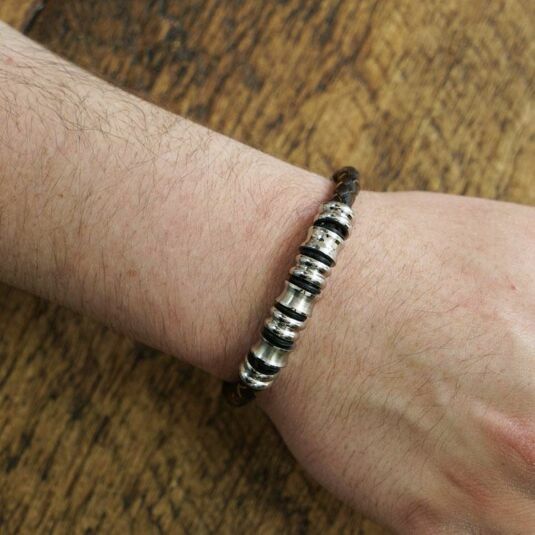 Fastened using the simple hoop and clip mechanism, this bracelet is a simple yet bold addition to any man’s outfit. This bracelet measure 23cm in length.